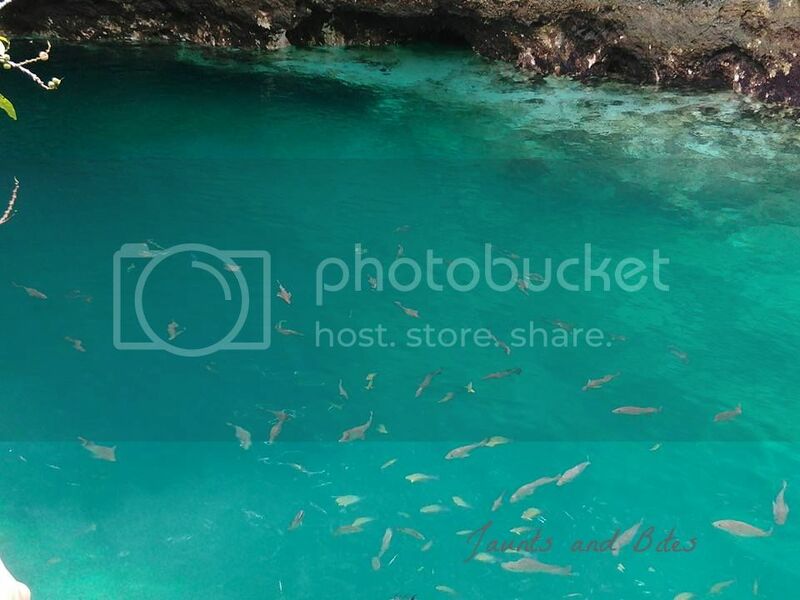 Hinatuan Enchanted River - one of the popular tourist destinations in Surigao del Sur, Philippines. The last time I was here was four years ago along with some friends. (Blogged it here) It seems like nothing much has changed except the now paved path going to its exact location and the relocated parking area. The entrance fee of 30.00/pax even remained the same. This time, like many others do, we only stopped for a lunch. It is still the same crowded place from four years ago. Of course, we didn't miss watching the popularized, enjoyed by many - fish feeding at 12:00 noon wherein a soft melody is played all throughout the feeding session. The people watching had a grand time. The river's unusual colors and unexplored depths has inspired various local legends. A story that tells the presence of fairies is what added the colors of sapphire and jade to the river to make its unique shade. Local fisher folk also report seeing fish in the river that cannot be caught through any means. 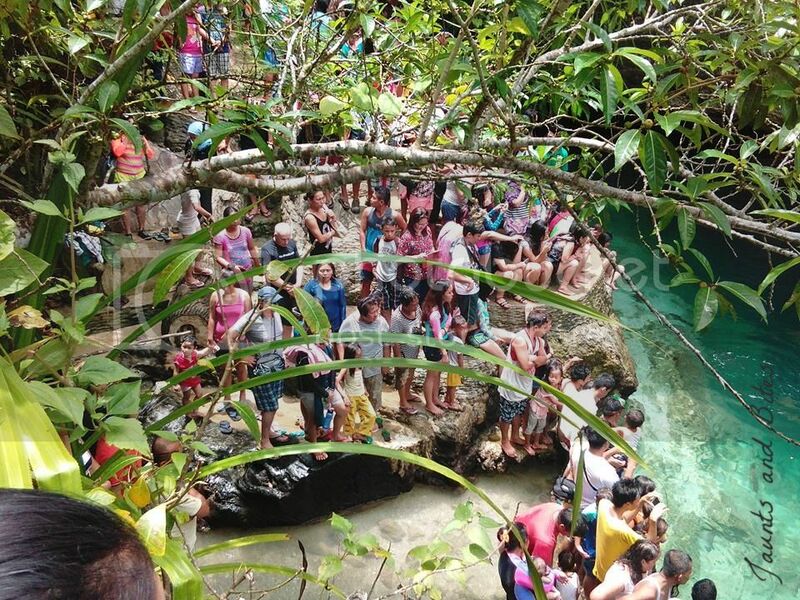 According to locals, the river was called the Enchanted River because of the "engkantos" that dwell there. These supernatural beings are said to be the protectors of the river. Sounds eerie, huh? Exactly the reason why I'd rather miss than risk a chance though a lot of tourists enjoyed the experience of being enchanted by this unique river. Me... I'd rather take pictures around if not pose for some. 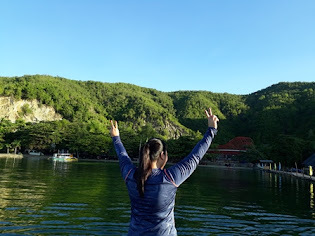 :D Activities such as diving and beach hopping may also be availed while at the place. 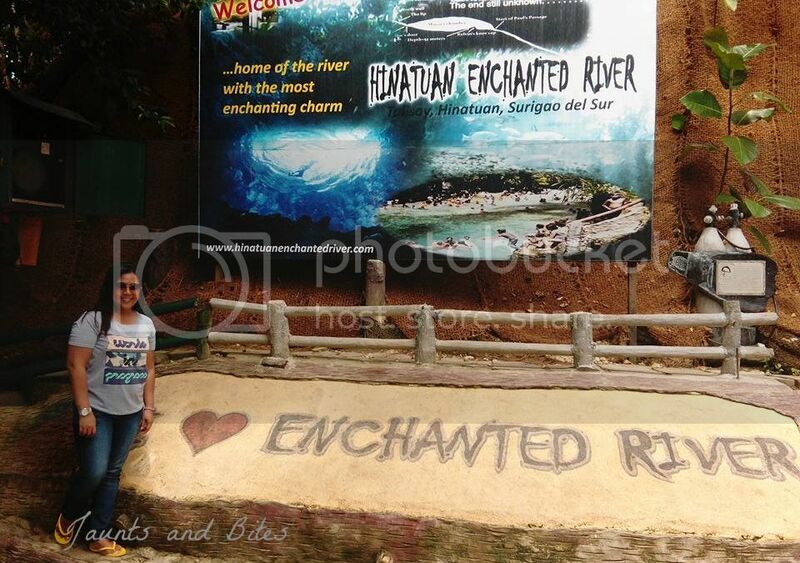 Overall, Enchanted River is still worth visiting.